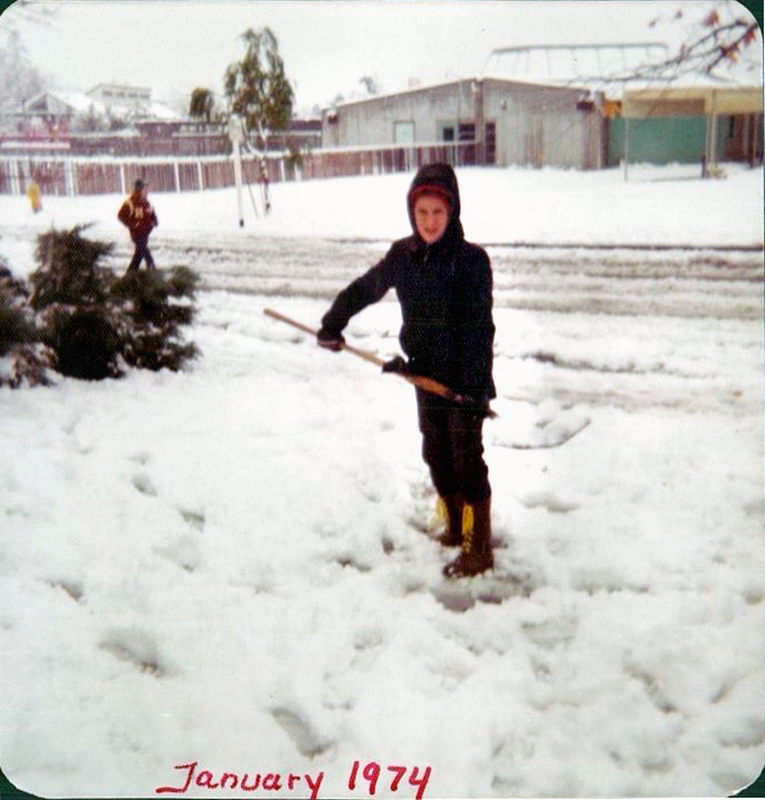 January 4, 1974 — Mike Hammermeister shovels snow in front of his family home in the Old Orchard I subdivision. Old Orchard Elementary School at 25141 Ave Rondel is visible in the background. The last time it snowed and stuck was December 19, 1970. HB7401: 19200 dpi jpeg from smaller jpeg courtesy of Greg Hammermeister.